Marj at the SF MOMA on one of her trips to California. Marj in Sphinx. One of her favorites! Seeing as the theme for June is "getting the job done", it only makes sense that Marj is the spotlight student of the month. Marj is one busy lady. She doesn't let much slow her down. You might think such an on-the-go person wouldn't have time to stop, listen, and slow down, but not Marj. She always seems to have time to slow down and check in whether it be slowing down and making time for a yoga class, taking time out to listen to a friend over a cup of tea, or taking some time off to travel to see her family on the West Coast. Marj is a great example of balance, strength, compassion and resilience. Oh yeah, and she's pretty darn funny, too. I first found yoga decades ago when my children were in early adolescence. It was a serendipitous introduction at Kripalu in its early years, when it was more ashram than spa. I’ve been hooked ever since – with definite ebbs and flows in my practice. Until I found YEMM – which is home for me. Yoga is such an integral part of my life now that it’s difficult to parse out its influence. 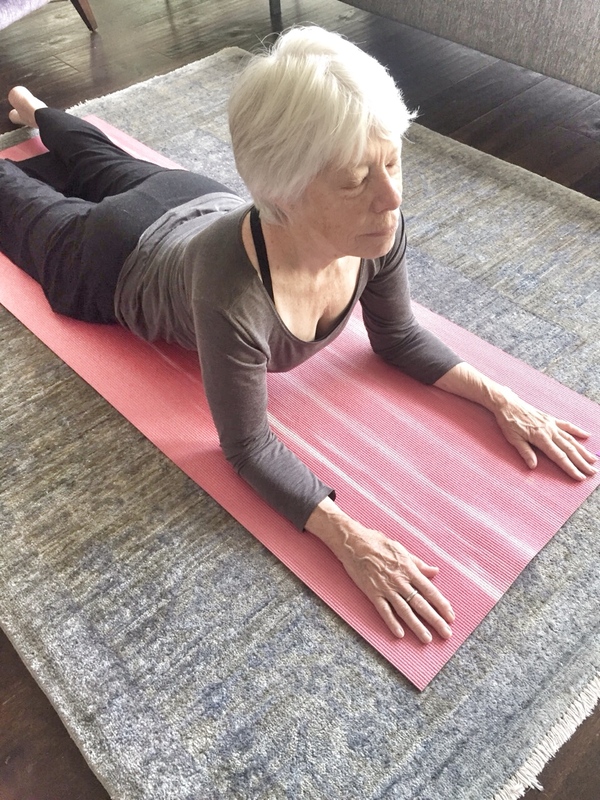 Practicing yoga has helped me become and remain balanced, flexible and resilient in the face of the “slings and arrows of outrageous fortune” – as Shakespeare phrased it. Beyond the poses and the outfits and the props and the fabulous people, yoga helps me stay focused and grounded and honest to myself no matter what swirls on around me. I love sphinx. I especially love the sphinx we do in our yin yoga classes. Which is interesting because Sphinx is a very powerful pose – kind of the antithesis of yin. To come into sphinx, we start face down on the floor and then power up legs, pelvis and arms to lift our upper body and raise heart, throat, face upward – open and strong. Then, we “yinify” as Julie says – keeping arms strong, we relax everything else and melt heart and head downward. We hold that for a while…and then power up once more with renewed strength and energy. It gives me this beautiful feeling of peaceful strength. When folks hear I practice yoga, they often characterize it as too demanding or difficult for them to consider. “I could never do that!” My response is always: Yes you can. Every one can. Yoga meets you where you are and travels with you on your journey.